Since 1965, Swanson Homes has been a trusted name in the Minnesota home-building industry. Our talented builders have continued to excel in spectacular design, exceptional craftsmanship and service. Twin Cities Finely Executed Custom Homes, 11x Best of Houzz! w.b builders is a construction, remodeling, architectural & interior design firm that specializes in the top-quality design & construction of residential projects in the Minneapolis area. Custom remodeling and home-building firm with a refined design-build process that inspires clients with creative space solutions grounded in exceptional architecture and impeccable craftsmanship. Everlast Enterprises specializes in custom home building and residential renovations. We've completed everything from high-end custom homes to small home updates. When you choose Creek Hill, you’ll work with a veteran builder and design team who truly know construction with a focus on workmanship, quality, and design driven by your unique lifestyle. Designing and crafting the most spectacular new homes in the Twin Cities since 1995 and continuing this tradition of excellence in both the building of new homes and the renovations of existing ones. With a focus on residential architecture, proportion & design, HENDEL creates refined, beautiful spaces that are layered with detail that is expressed through experience, quality, thought & talent. John Kraemer & Sons, a 3rd generation company, specializes in everything from large estate home construction, to empty-nest homes, to lake cabins, all the way to simple mud room remodels. We are an award winning architectural, general contracting & design build studio. In business over 28 years & with 50+ employees, we specialize in both residential & commercial renovation. We’re passionate about providing unrivaled craftsmanship using superior construction materials and standards. This quality workmanship is on display in every detail of our clients’ homes. What’s the most important step in building a new house from the ground up? Many people would say it’s choosing the right Eden Prairie home builder. Constructing a new house is a huge and multifaceted undertaking, so it’s important to find custom home builders in Eden Prairie, MN you can trust to bring your vision to life, as well as keep the process under control from start to finish. Although a construction job is never without surprises and challenges, an Eden Prairie, MN home builder who’s a good fit for your specific project will make these far easier to handle. For Eden Prairie residential home builders who also act as developers, the job starts well before the first nail is driven. They perform local market research to determine whether the prospective homesites make sense in the Eden Prairie, MN market, as well as survey the land on which the house will be built to make sure it is suitable for construction. Custom builders also obtain the necessary permits. 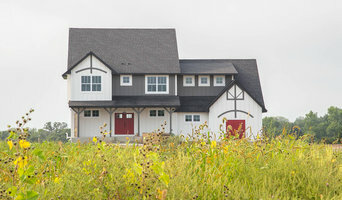 A good custom home builder in Eden Prairie, MN has skills that go far beyond construction — he or she must supervise subcontractors and artisans; keep tabs on local zoning regulations, building codes and other legalities; inspect work for problems along the way; and perform dozens of other roles that are essential in building a quality house. Here are some related professionals and vendors to complement the work of home builders: Interior Designers & Decorators, Landscape Architects & Landscape Designers, Architects & Building Designers, Kitchen & Bath Designers, Specialty Contractors. House builders are responsible for ensuring that the home-building project sticks as closely as possible to the specified timetable, particularly in the event of change orders. Custom and luxury home builders in Eden Prairie, MN also need interpersonal skills to deal with clients of all types, soothe frazzled nerves, negotiate conflicts and resolve problems. Find custom home builders in Eden Prairie, MN on Houzz. Narrow your search in the Professionals section of the website to Eden Prairie, MN home builders. 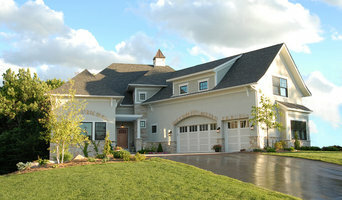 You can also look through Eden Prairie, MN photos to find a house you like, then contact the builder who worked on it.